Dave Flora is known as “Jersey’s Best Kept Secret,” when it comes to his hard driving guitar virtuosity. When Dave plays a solo, it is a carbon copy of what you remember hearing the original artist play. You might remember Dave from “Runaway,” a popular Bon Jovi Tribute Band from the 90’s. 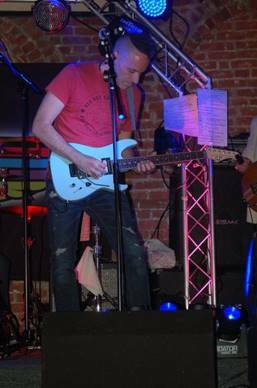 Since joining Route 80’s, Dave has delivered “wow” guitar moments, mezmerizing audiences at every performance.